There are nine people left meaning multiply that by 0.5 and add 0.5 means points are at stake for the winner, and the eight losers lose 0.63. There were 3 winners of the reward (Aubry, Andrea, and Brad), so they each get 1.67. Losing costs 0.84. Andrea is still number one by a large amount. The highest ever score by a woman is Kim (One World) with 113.02, So Andrea can very well catch this. 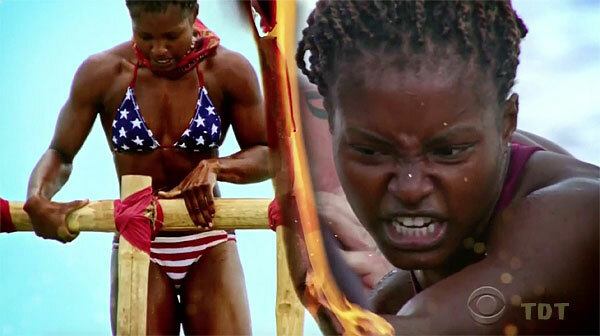 In episode 4 Savage, Jeremy, and Terry competed. Terry came in the middle so no points change. Savage wins 2 points and Jeremy loses 2. Episode 7. 13 people means 7 points at stake. Joe won them. 0.58 loss for everyone else. Episode 11. With nine people left Stephen won 5 points. Spencer won 5 points for the immunity challenge. 0.63 point loss for everyone else in each challenge. Episode 13. Keith won reward and Spencer won immunity. Each challenge was worth 4 points. Losing resulted in a loss 0f 0.66 points. Jason had to sit out the reward challenge so no change higher or lower for him. With six people playing there were 3.5 points at stake. With teams of two the winners each get 1.75 points. The four losers would lose 0.88 points. For the immunity challenge with seven players the winner would 4 points. The losers lost 0.67 points. After this Michele is really shooting up. No one has won more than one individual immunity. Tai and Julia are no longer getting the reward points. Aubry was so great in the team vs team challenges and normally almost winning the individual challenges, but she can never quite win them. Joe is now clearly at the bottom. Aubry has always been on the losing side, yet she is constantly almost winning. With all the talk about how big of a physical threat she is I expect she will win some later. Survivor Kaoh Rong Episode 9: Survivor Metrics. Scot said Julia was the only one on their team who was not a physical threat. Think again Scot.